World leaders from almost 200 nations were yesterday urged to listen to the voices of the people, as negotiators hammer out the details on how the planet can avert the worst impacts of climate change at COP24, the ongoing United Nations climate talks in Poland. During the opening of the political phase of the Talanoa Dialogue, Ms Patricia Espinosa, executive secretary of the UN Framework Convention on Climate Change, reminded nations to think beyond statistics, and to look at the human lives being impacted by climate change. "To each number, there is a name. To each statistic, there is a face. To each percentage, is a person worried about his family," she said. The opening session comes after a year-long consultation - dubbed the Talanoa Dialogue - between countries, businesses, scientists and civil society. Mooted by the Fijian government at last year's climate talks in Bonn, Germany, it aimed to help countries take stock of their pledges, and how to step up ambition for the next set of targets in 2020, so global emissions are brought down further. For its part, Singapore launched the Year of Climate Action this year, during which individuals and organisations were urged to make climate pledges. More than 800 events were also held to raise awareness of climate change, the Ministry of the Environment and Water Resources (MEWR) said. The Singapore Youth for Climate Action (SYCA) welcomed the ministry's efforts, but said more concrete steps could be taken to spur individuals to take action, such as imposing a levy on plastic bags. To each number, there is a name. To each statistic, there is a face. To each percentage, is a person worried about his family. 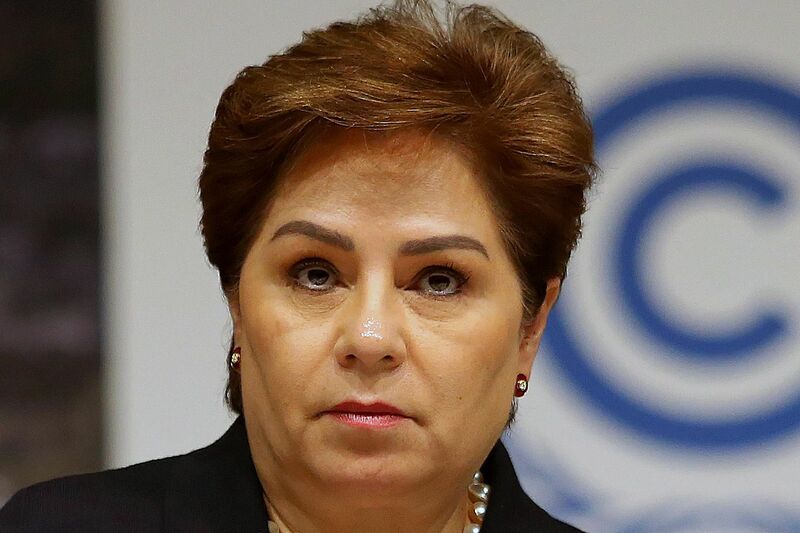 MS PATRICIA ESPINOSA, executive secretary of the United Nations Framework Convention on Climate Change, urging nations to look at the human lives being impacted by climate change. SYCA representative Swati Mandloi, who is taking part in COP24, said: "We hope to see the basis for the Talanoa Dialogue as a critical part of our contributions to Singapore's approach towards climate change." At the regional level, Singapore in July hosted Asean countries in a meeting to discuss climate plans and ways to step up regional action to address climate change. The MEWR spokesman told The Straits Times: "Singapore has submitted, under its own responsibility and initiative, a summary of the discussions at the (Asean meetings) as input to the 2018 Talanoa Dialogue. We hope this would contribute to the collective gathering of experiences." The climate talks in Poland aim to agree on a rule book that will allow the Paris climate agreement to go into force. But there is concern that the current talks lack ambition, and that some countries are trying to weaken progress despite a series of weather disasters and reports underscoring the urgency to cut emissions that fuel extreme weather. This week, the consultative spirit of the Talanoa Dialogue was marred by the refusal of four countries - the United States, Russia, Kuwait and Saudi Arabia - to "welcome" a landmark report prepared by an international panel of scientists outlining the harsher impacts of 2 deg C warming compared with 1.5 deg C.
That report by the UN's Intergovernmental Panel on Climate Change (IPCC) urged all nations to rapidly cut greenhouse gas emissions to limit global warming to 1.5 deg C. It said achieving that goal was technically doable, but societies need to make far-reaching and unprecedented changes. The four countries, which have large fossil-fuel-based economies, want to take a more passive stance on how the IPCC report should be reflected in ongoing climate talks. Yesterday, IPCC chair Hoesung Lee reminded parties that the panel had been invited by them to prepare the report at the end of the Paris climate conference in 2015. He said: "With this report, the scientific community tells you that limiting warming to 1.5 deg C is not impossible, but the window for doing this is now... Every bit of warming matters, every year matters, every choice matters. The scientific community has delivered. Now it's up to governments to take the necessary action." Climate groups urged nations to actively listen - to the IPCC, and to the stories of the marginalised who are bearing the brunt of climate change - and not turn the Talanoa Dialogue into a "talking shop".